The former Branxholme Coffee Palace was, despite its rather grand title, no more than a simple boarding house which distinguished itself, through its name, from the accommodation provided by local hotels. The establishment was opened by Mr. and Mrs. W Price in 1890. The term 'coffee palace' had become popular and respectable during the teetotaler political climate of Victoria in the 1880s. The Prices' daughter, Mrs. H Edwards carried on the boarding house after her marriage in 1912. 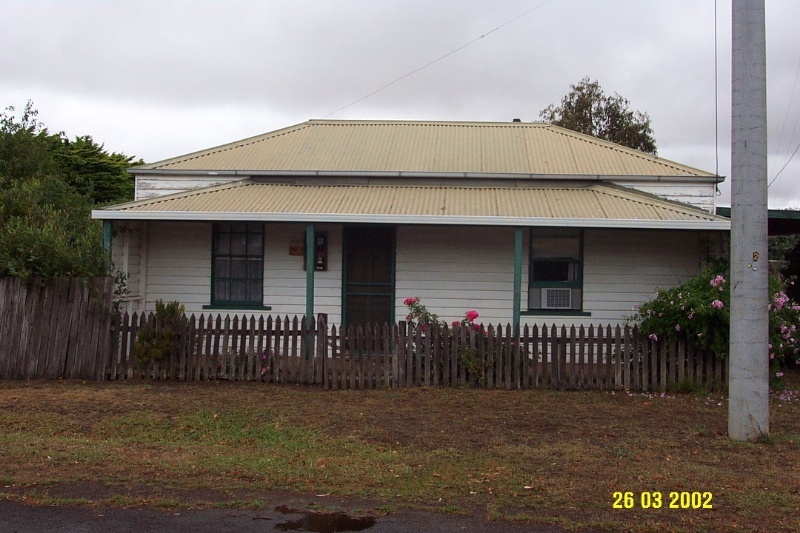 It survives as a simple weatherboard cottage extended to the front and rear. By this time, most of its guests would have arrived by train with Branxholme acting as something of a railway junction. The building has been substantially altered internally, probably during the Interwar years. It is in good condition. The outbuildings are not significant and there are no significant plantings in the garden. The former Branxholme Coffee Palace is of historical significance to the Southern Grampians Shire and to the township of Branxholme. The former Branxholme Coffee Palace is of historical significance as a demonstration of the simple boarding house accommodation provided to travellers such as itinerant workers, trade representatives and other genteel visitors in small country towns and as a comparison with the accommodation provided by hotels. 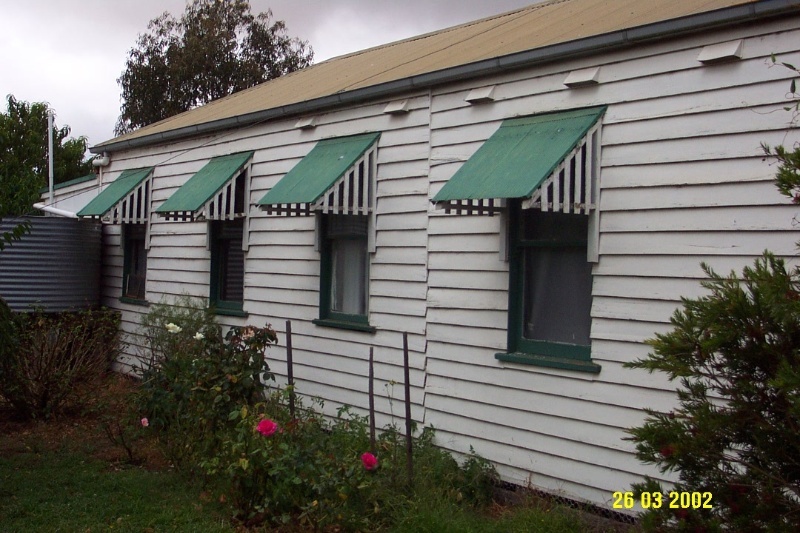 The former Coffee Palace is a single storey, slightly asymmetrical timber building with a timber verandah positioned on the street boundary. The date of construction is not known, but the building's construction methods and detailing suggests a date in the 1860s. There is evidence externally and internally that, although very early, the front two rooms were added to an even earlier structure. The front door has been replaced, but the original twelve-paned double hung sash windows survive. The roof is hipped and covered with corrugated iron. The plan is simple with rooms opening off a central passage. Some late nineteenth century detailing, such as four panelled doors and at least one timber mantelpiece survive. The second room on the south side is larger than the rest and is now used as a kitchen. There have been some minor additions at the rear. High degree of integrity externally and fair degree of integrity internally.